Perfect for reports and presentations. Flexible, crystal clear front cover allows title page to show through, while rigid back cover holds binder upright for bookshelf storage. Pages lie flat with back mounted rings. Note: A minimum quantity of 24 must be ordered, and in units of 12 thereafter. The requested quantity has been updated to meet the bulk requirements. 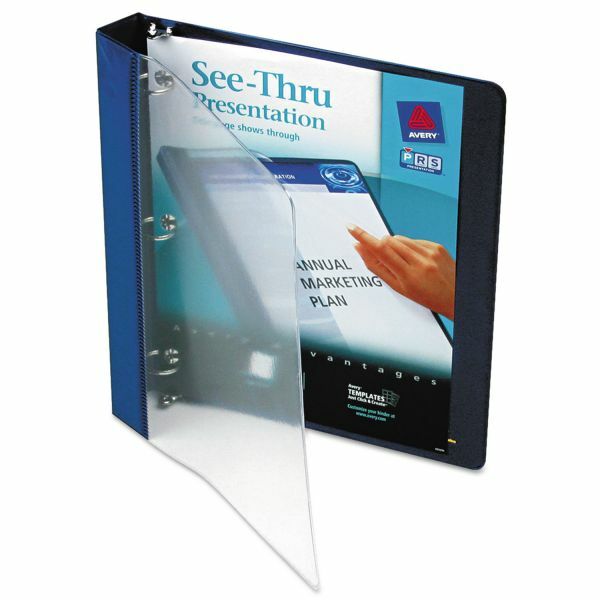 Avery See-Thru View Binder w/Round Rings, 11 x 8 1/2, 1" Cap, Blue - See-Thru Presentation Binder is perfect for reports and presentations, offering the convenience of a flexible report cover with the versatility of a three-ring binder. Back cover is made with sturdy chipboard so the rigid back design holds the binder upright on your bookshelf. 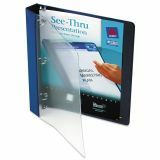 Crystal-clear, heavy-gauge front cover allows your title page to show through, creating a custom cover. 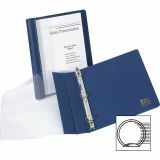 Back-mounted, metal round rings allow pages to lie flat. 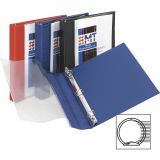 1 ring capacity holds approximately 175 letter-size sheets. 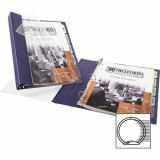 Three-ring binder also features concealed rivets for a professional appearance and vinyl construction of the cover, liner and pocket."